This effortless white tee is crafted from intricately embroidered georgette with a colour pop silk blend back. 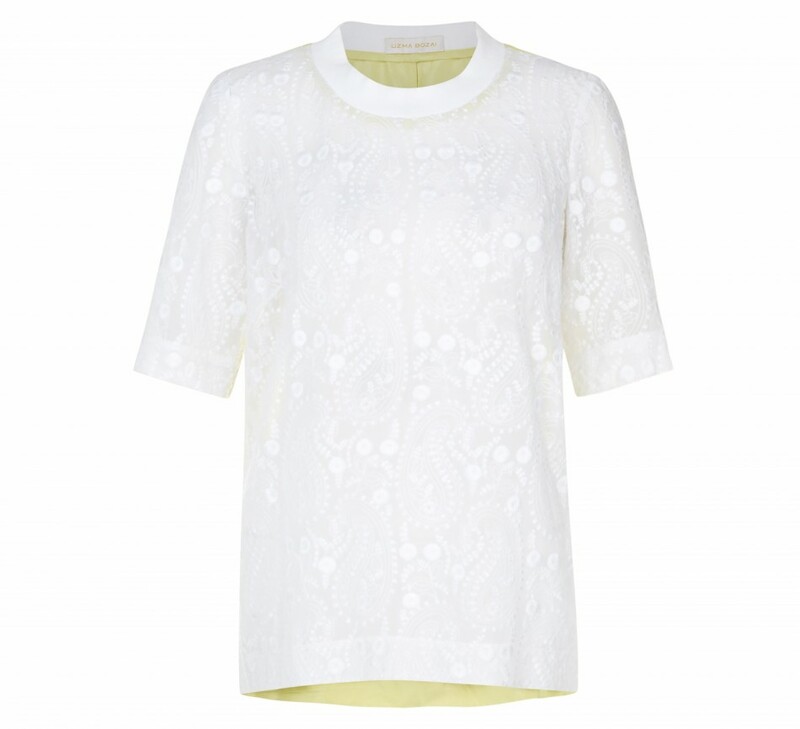 The Apti Tee has a chic oversized shape, with the embroidery adding a feminine touch to the loose silhouette. We suggest wearing yours over a camisole to temper the semi-sheer finish, or go all out with a statement bra.